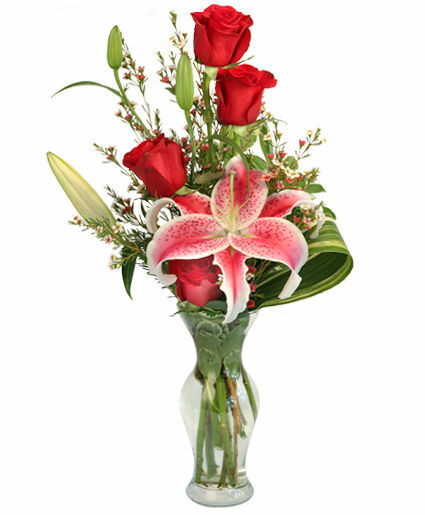 This elegant floral arrangement features roses and a stargazer lily in a colorful vase. 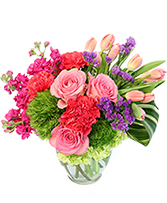 Send them a smile with this wonderful flower arrangement. 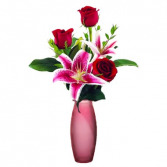 Vase color may vary. 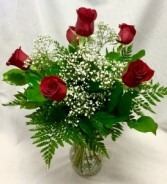 6 lovely roses arranged in a clear vase accented with baby's breath.